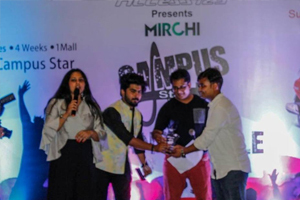 The Rajasthan Institute of Engineering and Technology participated in the event Radio Mirchi (98.3 my FM) in association with Suzuki 2 wheelers who organized an event on 7.10.18 in the Pink Square Mall Raja park to find Jaipur’s next “Mirchi Campus Star” with the biggest ever college talent challenge in Jaipur. 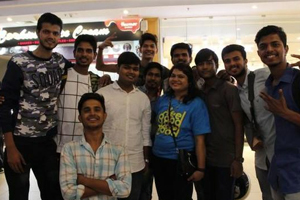 The event covered 15 top colleges in Jaipur. 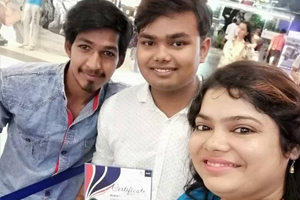 RIET was represented by declared Gangesh kumar from B Tech CSE branch II year from Rhythm Chamber Club. One winner from each college proceeded to the finale where winners from all 15 colleges battled it out amongst each other. On the 7.10.18, the organizers from Suzuki and Radio Mirchi put up a grand show for the students. The participants from all 15 colleges were given a chance to perform for one minute each. Some of the students sang songs while some put up a dance numbers. The audience cheered and encouraged all the participants who were from various colleges. All the participants took part very actively and with great enthusiasm in this event. The Suzuki Company displayed the Suzuki Vehicle on Stag (Winning Prize). The organizers of this event, highly praised the the performance of the RIETians. There were games for the audience also. On completion of the event the organizers informed that the winner of the grand finale. There are exciting rewards for the runners up too. The grand Finale declared Gangesh kumar from B Tech CSE branch II year as 3rd position. Speaking on the occasion Principal RIET (Prof) Dr Saroj Hiranwal said that events like this encourage the students of Rhythm Chamber Club and give them an opportunity to showcase their talents. Dean Academics, Prof Kapil Dev Sharma, and Vice Principal RIET, Dr Sachin Sharma encouraged the winner on this occasion.